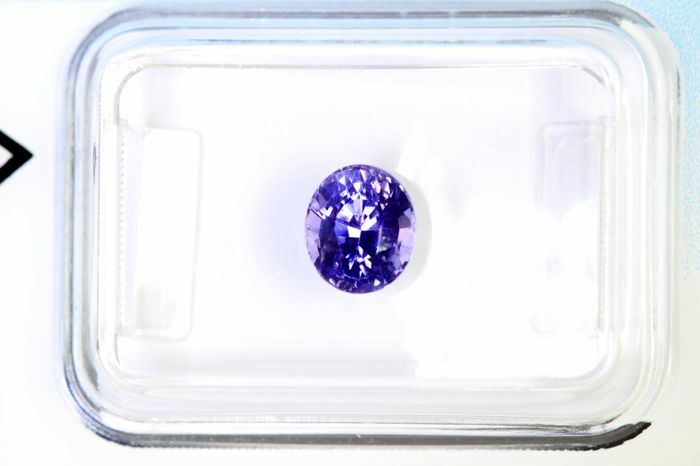 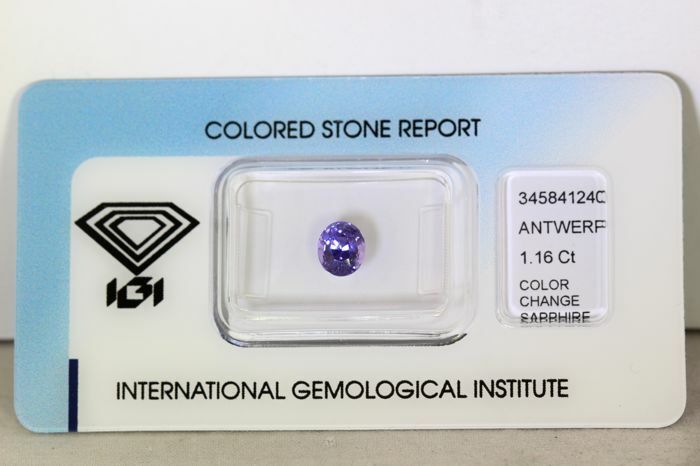 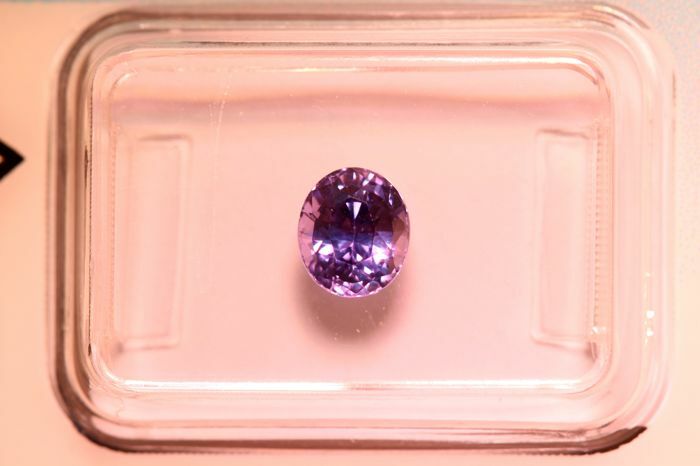 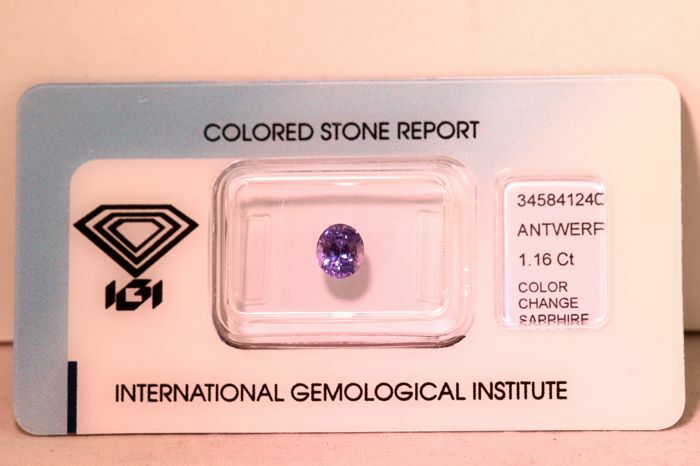 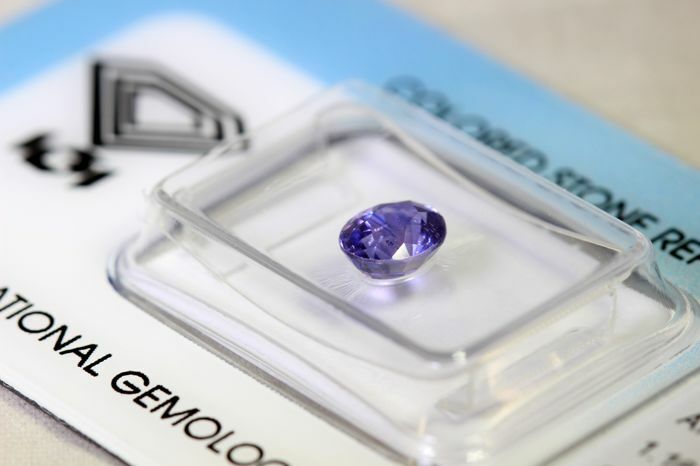 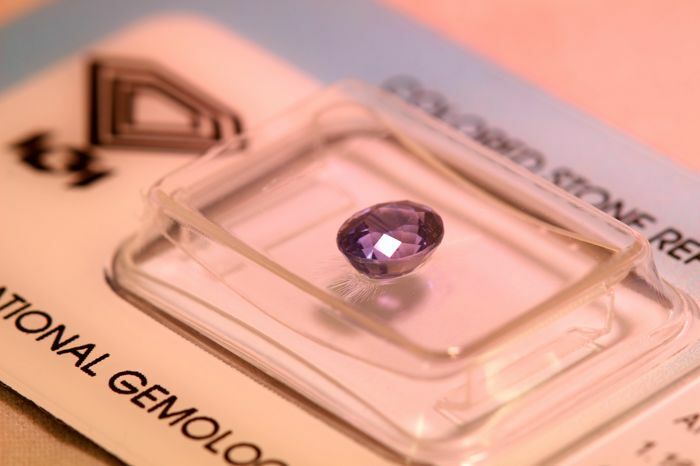 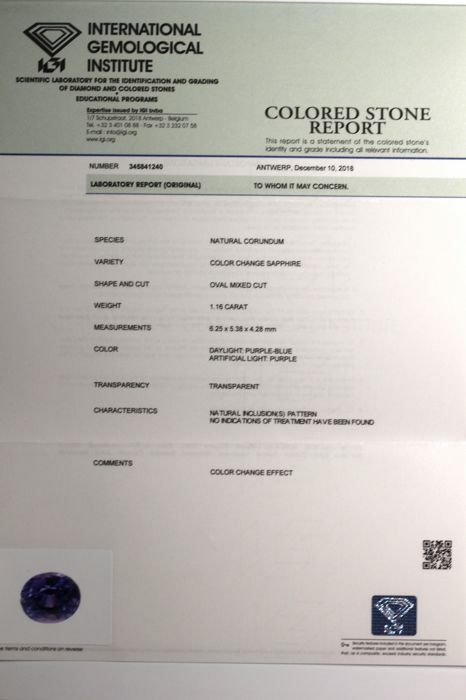 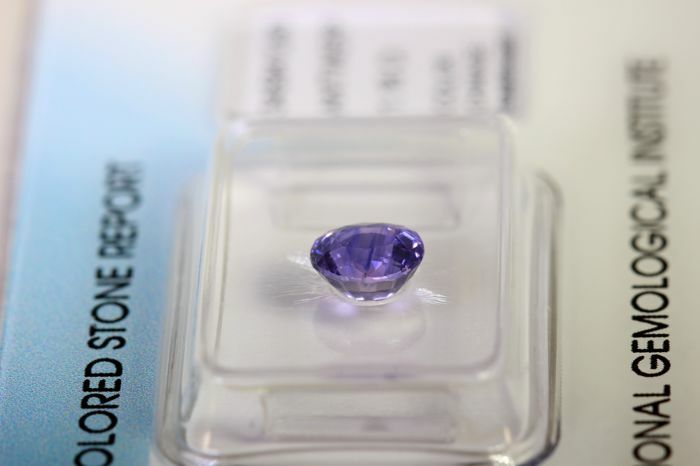 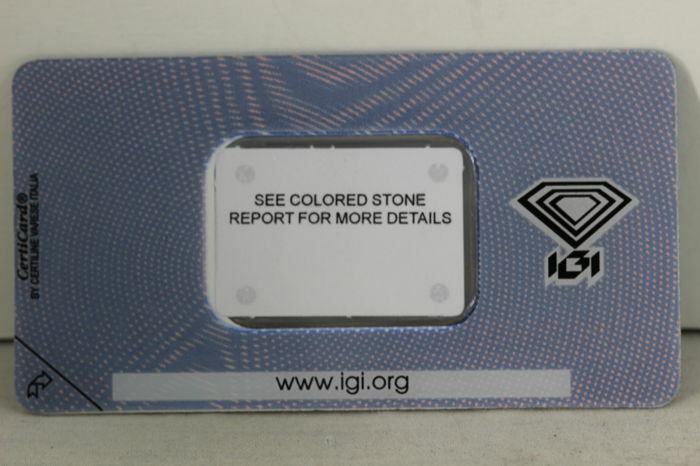 Natural colour-changing sapphire with IGI certificate. 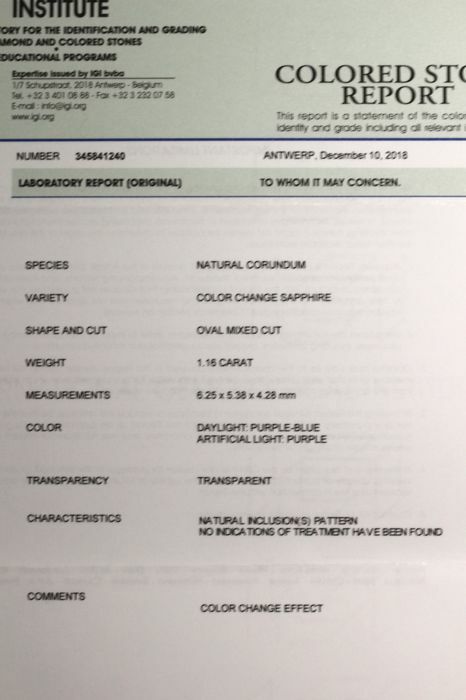 Clarity: Very Small Inclusion – please see photos. 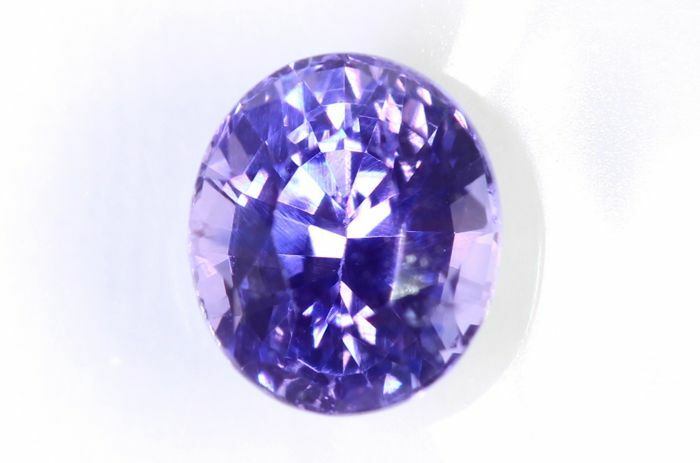 Measurements: 6.25 x 5.38 x 4.28 mm.